“Scientific verities are based on anonymized data, statistical significance and methodological reproducibility. Communications/journalism is usually considered best when rooted in emotive, anecdotal storytelling. 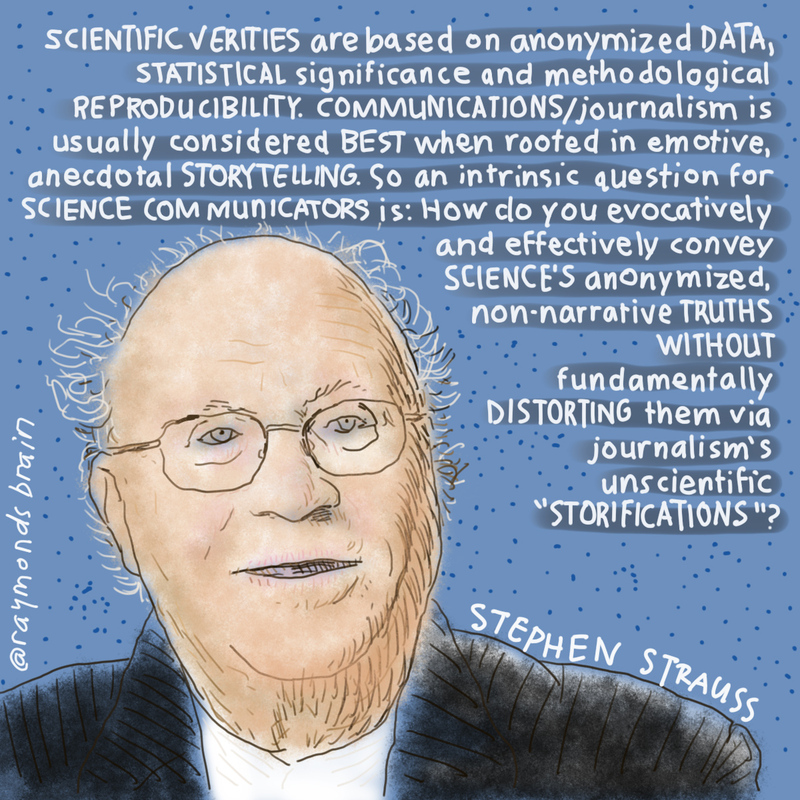 So an intrinsic question for science communicators is: How do you evocatively and effectively convey science’s anonymized, non-narrative truths without fundamentally distorting them via journalism’s unscientific ‘storifications’?” – Stephen Strauss, freelance science writer. Originally posted on October 2, 2016.